Consumers continue to raise their standards and expectations as they read marketing content in various formats. While inbound marketing is a popular concept with businesses of all sizes, the well-meaning process is likely to be confusing to buyers and readers if the underlying content is based on obsolete communication techniques. This brief overview will focus on two extremes — the best and the worst strategies (based on an in-depth content writing article that I published earlier this year). For those who want their good news and bad news briefing in a video or presentation format, both options are provided below (SlideShare presentation and YouTube video). Please note that my original article contains seven examples of strategies that work and seven approaches to avoid — the video and presentation versions (as well as this condensed summary) omit a few examples in the interest of brevity. For those who are unfamiliar with the potential problems created by using a low-bidder mentality, I will illustrate how the concept works on freelancing websites. 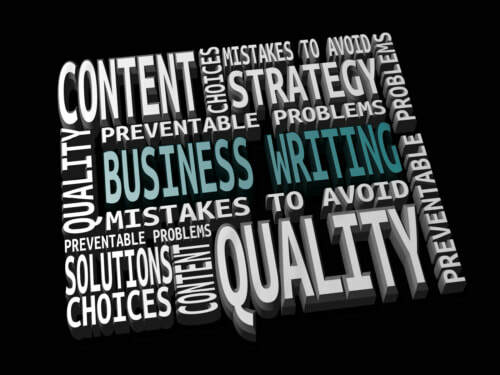 If a business owner, corporate executive or marketing agency wants to create a series of articles in support of a company’s marketing strategy, one way to proceed is to search for a freelance business writer to complete the project. By listing the project on a freelancing website, the hiring individual can then select from among competing proposals and bids. It is not unusual for content managers to select either the lowest bid or one slightly higher in an effort to keep costs as low as possible. Since work environments and business development campaigns often involve potential conflict, it seems appropriate to inject terminology usually reserved for military confrontations — rules of engagement. This military concept refers to guidelines for handling provocative actions by opposing forces. 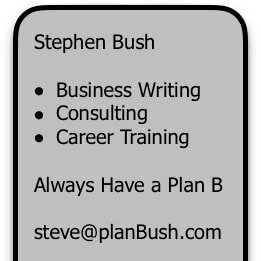 In extending the term to business applications, it is my intent to suggest a clearer path for making decisions about everyday issues such as blogs, business proposals, press releases, marketing and planning. More details about each of these business concepts are provided below. Business proposals are traditionally submitted in response to a formal RFP (Request for Proposal) process. But unsolicited proposals are often more effective (and successful) than those that are requested because of less competition and the opportunity to be a standout in the crowd. Instead of only using proposals for RFPs, seize the initiative and submit proposals to prospective clients without either a formal or informal request to do so. The changing landscape for both online and offline content presents serious challenges because an increasing number of readers scan articles rather than reading everything. While short videos and presentations can be effective in meeting this challenge, another viable alternative involves the use of textual images — showing relevant phrases instead of people or things. Two examples are provided within this article. The first one involves a GIF format that only works for online content; the second example is a collage of five separate textual images that I published. In addition to providing a visual communication opportunity, textual images allow users to include unique visual content rather than duplicate stock photo content. The “old-fashioned” way of selling goods and services is known as marketer-centric (also referred to as brand-centric) because marketers were typically in charge and insisted on controlling how and when consumers would receive information. Key examples of this outdated sales process are cold calling and traditional advertising. In contrast, today’s buyers increasingly insist on being in control and at the center of the sales process — hence customer-centric. This is exemplified by inbound marketing processes and educational content that is not promotional. The ability to use both “no” and “yes” effectively can be a challenge for even skilled negotiators and managers. If you need help in this area, William Ury has written a practical and useful trilogy — The Power of a Positive No, Getting Past No and Getting to Yes. The importance of preventing or minimizing mistakes — especially recurring mistakes. The ongoing value of contingency planning — Always Have a Plan B. Making Better and More Informed Choices: To Avoid or Use? Magnesium stearate (and its many variations such as stearic acid and vegetable stearates) continues to be used in far too many supplements. In our own household, we were using approximately 10 different supplements with this highly suspect ingredient at one point. There are additional unworthy ingredients in many supplements — key examples are carrageenan, dioxides, laurates and sulfates. A number of commercial concoctions contain multiple culprits. For example, Allegra 24-hour tablets have silicon dioxide, magnesium stearate and titanium dioxide; Dr. Tobias multi-vitamins have vegetable stearic acid and vegetable magnesium stearate. After much research, I have personally decided to focus on manufacturers that take the “high road” — one prominent illustration is NutriGold with a highly principled stand concerning magnesium stearate and similar ingredients. However, some of the attempts to avoid these questionable components are likely to be much harder than others. To mention just one frustrating experience, seemingly all of the readily available tablet or capsule alternatives to Allegra tablets have at least one (and frequently more) problematic ingredient. My own solution to reduce congestion and allergy symptoms (developed with the involvement of my ENT specialist) involves Flonase Sensimist. This is a 24-hour product (since February 2017, available over-the-counter without a prescription) that is both alcohol-free and scent-free — an important consideration for anyone who dislikes the often objectionable fragrance of regular Flonase sprays. Avoiding maltodextrin is also advisable with both supplements and foods. This ingredient is often derived from corn but can also be produced from other starches such as rice, potato and wheat. If you haven’t already noticed, the corn industry has an almost infinite number of corn-related ingredients that have made their way into our foods. For example, in Multigrain Cheerios, you will find whole grain corn, corn bran and corn starch. In other products, corn variations can include citric acid, confectioner’s sugar, sorbitol, corn flour, monosodium glutamate, corn oil, diglycerides, corn meal, corn fructose, dextrose, dextrin, malt and fructose. Even if you’re not allergic to corn, the sturdiest body can begin to rebel from an internal assault due to the numerous and common variations of corn. For example, many versions of vitamin C supplements use ascorbic acid as the source of vitamin C — the source of ascorbic acid is typically either GMO or non-GMO corn. Viable vitamin C solutions that do not include corn are offered by responsible supplement providers such as Garden of Life. Strontium is simply not the helpful ingredient that many of us probably thought — I know that I was initially fooled. While it continues to be acceptable to take in small doses incorporated in some organic plant calcium supplements, larger doses included in most strontium supplements appear to be problematic at best — make sure you do your own strontium research before continuing or starting supplements that have more than nominal amounts of strontium. For those convinced that all fluoride is a good thing, please think again and examine the issue more closely. A suggested starting point is a discussion of 50 reasons why fluoridation should be avoided by most of us. As for practical solutions, I advocate reverse osmosis for all who are financially willing and able to spend a little to avoid a potentially big problem — for about $20 per month in many cases. Food (and water) for thought? My hope is that the observations above will at least serve as a starting point for further review and consideration.